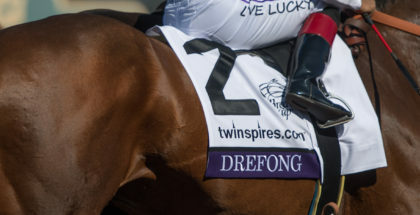 There may not be a single name more synonymous with summer racing at Del Mar than “Bing”. Academy Award winner, singer and legendary entertainer Bing Crosby built the beautiful ocean-view racetrack with a few of his celebrity pals. And every day racing fans are happily reminded, as patrons with courage attempt his famed diddy, “Where the Turf Meets the Surf,” between races every day — and prove it’s no simple tune to sing. 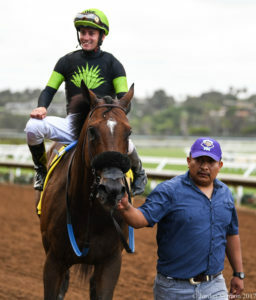 Saturday’s $300,000 Bing Crosby Stakes (GI) at Del Mar is the first Breeders’ Cup Challenge Win and You’re In event of the summer meet and a field of 11 will race the six furlongs in search of a spot in the starting gate for the $1.5 million Breeders’ Cup Sprint (GI) on Nov. 3 at Churchill Downs. The race has been carded as the day’s ninth with a post time of 6:00 p.m. PT. The weather in Southern California continues to be beautiful and Saturday will be no exception, with highs in the mid-70s and a nice ocean breeze expected. The humidity from earlier in the week will have subsided and the day is expected to be beautiful.